The offshore industry continues to drive the oil and gas market into deeper drilling depths, more advanced subsea systems, and cross into multiple disciplines to further technology and equipment. Engineers and managers have learned that in order to keep up with the evolving market, they must have an all-inclusive solution reference. Subsea Engineering Handbook, Second Edition remains the go-to source for everything related to offshore oil and gas engineering. Enhanced with new information spanning control systems, equipment QRA, electric tree structures, and manifold designs, this reference is still the one product engineers rely on to understand all components of subsea technology. Packed with new chapters on subsea processing and boosting equipment as well as coverage on newer valves and actuators, this handbook explains subsea challenges and discussions in a well-organized manner for both new and veteran engineers to utilize throughout their careers. 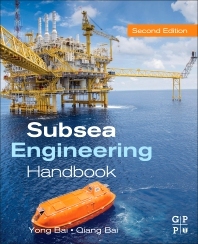 Subsea Engineering Handbook, Second Edition remains the critical road map to understand all subsea equipment and technology.